Like every group who brings in a keynote speaker, your needs are unique. You want someone to motivate your successful team to be even more successful; you want new ideas to excite the imagination of a newly formed team; you want a subject matter expert to incite and inspire a group moving on to new initiatives; you have limited funds and seek a lower-priced speaker who has a good reputation. Every need requires a different type of speaker, and one speaker – regardless of reputation or success of their book sales – doesn’t fit every situation. 1. What do you need to know about us and our needs to make sure we have a win-win? 2. How do you engage audiences to incite them to success? 3. What do you expect our takeaways to be? 4. How will you know you’ve succeeded with us? How will we know? 5. Do you recommend the use of Twitter during the talk to enable instantaneous ideas for all to see during the talk? 6. Do you use a Q&A during the keynote? Or do a traditional talk? Note their replies; collect your impressions and share them with the rest of the group. 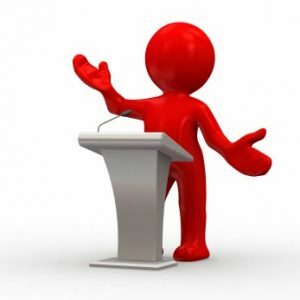 This will give you a good idea of how to choose the best keynote speaker for your situation. The best for you will be obvious. Never expect an author to be a great speaker~it’s NOT what they do. It can happen, but it is rare. On the other hand, some great speakers don’t write~it’s not what they do. Determine your true needs and hire for those. You should ALWAYS want audience interaction and Q&A. Those are huge difference makers for the audience. p.s. My ten cents worth~Twitter DURING is simply a distraction for BOTH the speaker AND the audience. A great speaker should have them involved, enthralled, away from social media and devices. Questions CAN be real time and create great value!